Popups – love them or hate them, you just can’t ignore them. Well done popups are great for getting leads and subscriptions. 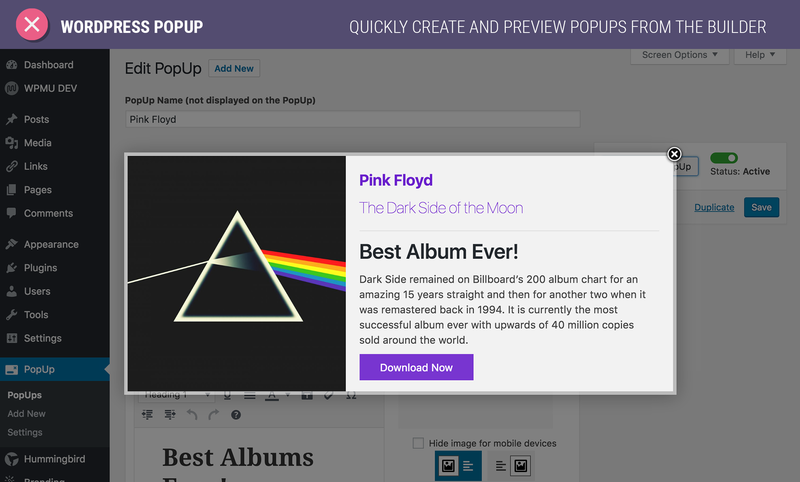 So here’s our review of one of the highest downloaded popup plugins on WordPress – ‘WordPress Popup (by wpmudev)‘. And sure enough, we’ll pitch it against Icegram – the popups-plus-a-lot-more-for-free WordPress plugin that’s gaining huge momentum. When you Google for “WordPress Popup”, you will find “WordPress Popup” (by wpmudev), “Popups – WordPress Popup” (by Damian / Timersys), “Simple PopUp” and “WP Popup Plugin” (both by Muneeb) in search results. You may also find “Bloom” from Elegant Themes and “WordPress Popup Plugin” by Rocket Genius. Almost all of them let you do popups on your WordPress site. Their names are very similar and you’d find it hard even to distinguish them by their features.For this review, we are considering the plugin by wpmudev – since it has the highest active installs! Both Icegram and WordPress Popup are available for free on WordPress repository and both can be installed and used without providing email id. Optins still convert the best when it comes to list building and when you provide some innovative optin types, the conversions are more. Icegram has a total of 12 innovative message types in total(Free + Paid). On the other hand, WordPress Popup provides only 1 optin-Popups. Icegram’s designs are a combination of proven and fresh. It includes design styles that have had high conversion on major websites.Icegram contains an amazing collection of 20 free themes spanning across its four message types. It has a total of 74 themes in its kitty (Free + Paid). Each theme can be customized and styled as per user’s choice- changing dimensions, adding media file, add background image, etc. WordPress Popup has only 1 theme in its free version. It has 2 other themes in the premium version. Each theme can be customized and styled as per requirement. Top marketers/bloggers show multiple optins on their site to convert visitors by all possible techniques. With Icegram, you can create and display unlimited optins on your website in the free version while with WordPress Popup, you can show only 3 popups on the website in free version. Both Icegram and WordPress Popup come with a simple and easy-to-use editing panel. You can add images to your optin as well as change optin size. You can also add your own custom CSS code for your optins. Both plugins also provide option to preview your optin before making it live on website. If themes grab visitors attention, powerful headlines convert them. 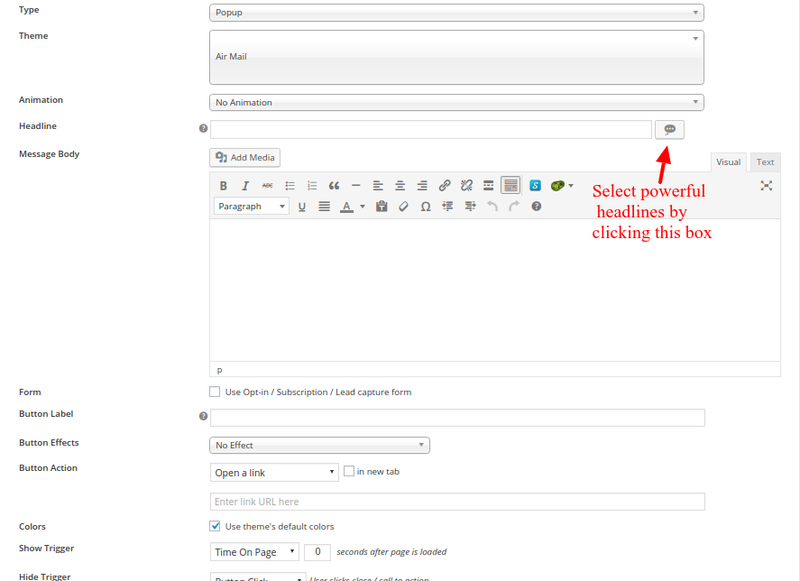 In WordPress Popup, you need to create your own headlines. There is no headline generator. More than 90% websites use optins backed with targeting rules as simply showing an optin at any time doesn’t give any desired results. Icegram also has exit intent trigger for all its 12 optin types. It’s available as a paid add-on Behaviour Triggers that also includes powerful options like advanced retargeting and Geo-targeting. Other targeting rules are available in the pro version. WordPress Popup too has exit intent trigger but only for popups and in the pro-version. You wouldn’t like your optins/popups to be an arrow you shoot in the dark, would you?? 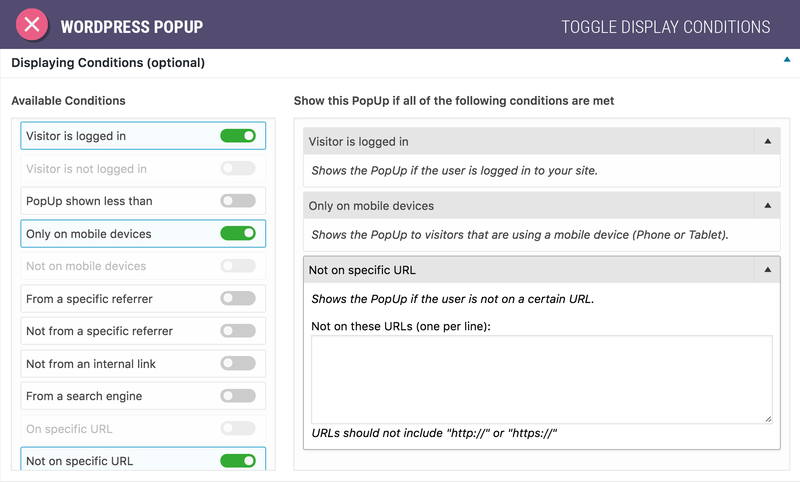 You want to measure performance of your popups so you can tweak them for better conversions. Icegram provides conversion and impression Analytics as well as conversion rate represented in color graphs which are easy to understand. 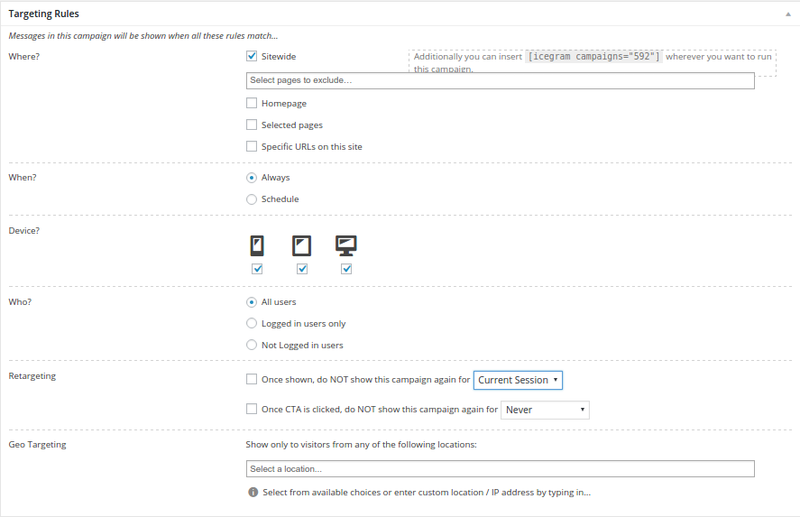 You can track how many times your campaigns are seen and clicked upon right within the campaign. Animations give the necessary style factor to the optins which makes them appear pleasant. Icegram has option to add beautiful Animation effects to it’s optins and CTA buttons. It’s a paid add-on. 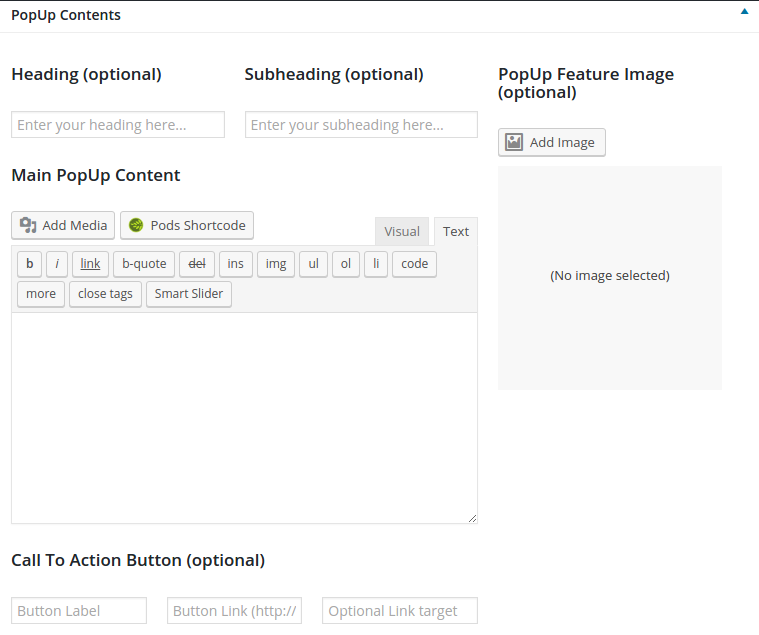 WordPress Popup provides some animation effects in the free version while some are available in the pro version. 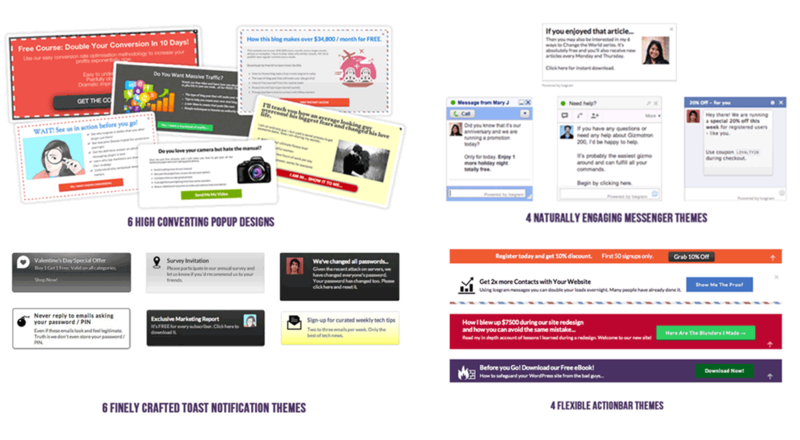 Both WordPress Popup and Icegram are free and loaded with features. WordPress Popup may be good for beginners, but is tad too simple. Icegram is the clear winner in this comparison. It knocks down WordPress Popup in almost all aspects – flexibility, power, theme, Whatever..
We can recommend Icegram to you without any reservation here..
Go ahead, grab it now! I’m trying to tie an Icegram popup to a subscribe link in the WordPress menu. How would I go about doing this? Is there a way to tie the onclick event to the Menu with a custom link?…or is there an easier way? Yes, you can create a link and onclick of that link popup will appear. Please refer this article to step by step guide. 3. Add the below code in the message body of the popup with script tag.